He'll give me crap after every meet. But he and (Montgomery) have given me a lot of help. He told me as long as I listen to him, I'll get the record. He rides me, but it helps. If he sees me doing something wrong, I'll concentrate on just fixing that. 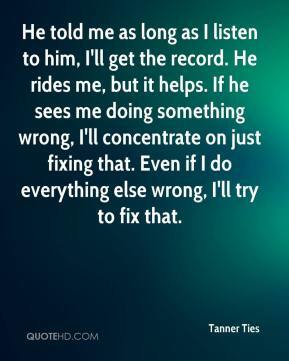 Even if I do everything else wrong, I'll try to fix that.